The heart-tugging, sentimental, low-budget film was an adaptation of Alfred Uhry's Pulitzer Prize-winning stage play about an aging, feisty Southern white widowed grandmother (Tandy) and her complex twenty-five relationship with her simple black chauffeur (Freeman). The plot was based upon Uhry's memories of his grandmother and a family chauffeur. Its tagline was: "The funny, touching and totally irresistible story of a working relationship that became a 25-year friendship." In the Best Director category, two of the directors of Best-Picture nominated films were neglected: Bruce Beresford for the Best Picture winner Driving Miss Daisy, and Phil Alden Robinson for Field of Dreams. In their places, Woody Allen was nominated for his masterpiece Crimes and Misdemeanors (with three nominations and no wins) - an obvious tribute to Swedish director Ingmar Bergman, and writer/director/actor Kenneth Branagh was nominated for his audacious and inventive first film Henry V (with three nominations and one win - Best Costume Design). All of the year’s acting winners were first-time winners. 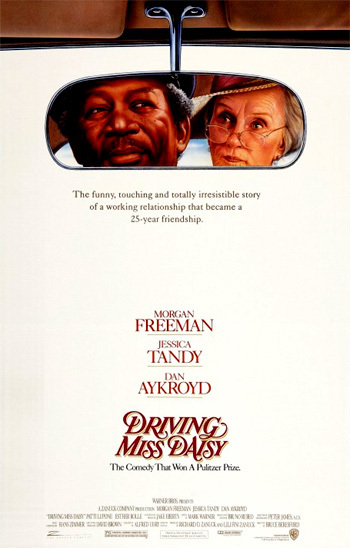 Octogenarian Jessica Tandy won the Best Actress award for her performance as wealthy, 72 year-old Atlanta resident and eccentric, cantankerous Jewish matron/matriarch Daisy Werthan in Driving Miss Daisy (1989). Tandy's win set a record at the time - she became the oldest performer (and nominee, at 80 years and 252 days old) to ever win a Best Actress Oscar. She was just three months away from her 81st birthday when she accepted the Oscar (at 80 years and 292 days old). The remaining two Best Supporting Actress nominees were Julia Roberts (with her first nomination) as Shelby Eatenton Latcherie - Sally Field's diabetic daughter and bride-to-be in director Herbert Ross' tearjerker about a group of six southern women who regularly gather in a Louisiana beauty parlor in Steel Magnolias (the film's sole nomination), and Dianne Wiest (with her second nomination) as Helen - a divorced mother with troubled teen children in director Ron Howard's film about parenting, Parenthood (with two nominations and no wins). And Japanese director Akira Kurosawa, previously nominated only once as Best Director for Ran (1985) (a film with four nominations and one win for Best Costume Design), was presented with an Honorary Award "for accomplishments that have inspired, delighted, enriched and entertained audiences and influenced filmmakers throughout the world." He was best-known for his films Rashomon (1950), Ikiru (1952), and The Seven Samurai (1954). The war epic Glory, about the uncelebrated 54th Regiment of Massachusetts Volunteer Infantry (a black regiment of Union soldiers in the Civil War) was not nominated as Best Picture or for Best Director (Edward Zwick). Also neglected in the cast were Matthew Broderick as young Col. Robert Gould Shaw, and Morgan Freeman as 'elder statesman' Sgt. Major John Rawlins. Actor/director/writer Spike Lee's Do the Right Thing was nominated for only two awards - Best Original Screenplay and Best Supporting Actor (Danny Aiello), without a Best Picture or Best Director nod. Woody Allen's Crimes and Misdemeanors was empty-handed for its three nominations: Best Supporting Actor (Martin Landau), Best Director (Allen), and Best Original Screenplay (Allen) - and had been bypassed in the Best Picture category. Director Tim Burton's box-office smash Batman had only one nomination and win - Best Art Direction, but was un-nominated in other categories: Jack Nicholson in a dual role as the villain: egotistical mobster Jack Napier (and maniacal Joker), and composer Danny Elfman for his musical score. Likewise, one of the most popular romantic comedies of all time, director Rob Reiner's When Harry Met Sally..., also had only one nomination (and lost) - for Nora Ephron's witty screenplay. 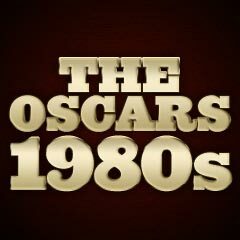 There were many overlooked components: a Best Director nomination, Billy Crystal and Meg Ryan as the two leads Harry Burns and Sally Albright, and Bruno Kirby and Carrie Fisher as their best friends Jess and Marie. Although director/actor Kenneth Branagh was nominated as Best Director and Actor for the expressive Shakespearean Henry V - his first directorial effort - he was devoid of a Best Picture nomination. And another neglected picture - director/writer Nancy Savoca's low-budget debut comedy film True Love with Annabella Sciorra as Italian-American Bronx bride Donna ended up without any nominations. Cinema Paradiso (1988, It.) was the Oscar winner of the Best Foreign Language Film (its only nomination), but had been neglected for Best Picture. And although Anjelica Huston was a Best Supporting Actress nominee for Enemies: A Love Story, she also should have been nominated for her role as Dolores Paley in writer/director Woody Allen's morality play Crimes and Misdemeanors.